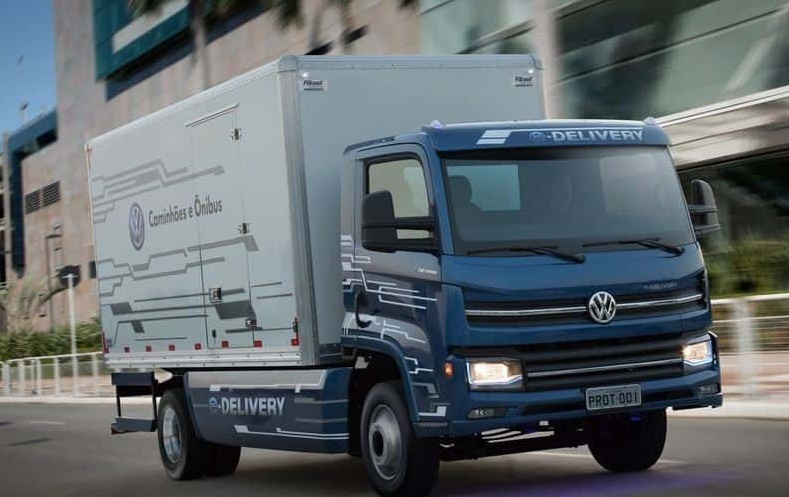 Volkswagen Truck & Bus are working on electric solutions for use in both medium- and heavy-duty distribution transport and city buses. It will soon have a complete range of electric vehicles for the European market. The jointly developed e-drivetrain will form the basis of any electric architecture in the future. This electric powertrain is designed in a way that means that it can be used to drive future distribution trucks and city buses manufactured by the Volkswagen Truck & Bus brands as a universal modular element. Navistar, Volkswagen’s strategic partner in the U.S., will also use the platform to be able to offer electric distribution trucks from 2019 onwards. MAN is already well on its way to developing an electric distribution truck. “We plan to deliver the first nine fully electric trucks to our customers in Austria by the end of 2017 – including large supermarket chains, breweries and haulers. Electric drives and distribution are a match made in heaven: The drives are quiet, do not produce any emissions locally, and are a perfect fit for customers’ requirements. Equally, demand for these types of vehicles has been on the rise. We will be launching the first small set of vehicles on the market at the end of 2018,” Joachim Drees, CEO of MAN Truck & Bus, explained. Initiatives are under way to find a different way to electrify heavy-duty trucks to make sure that their range and load capacity can become suitable for long-haul traffic. The buzzword for this area of development is “e-road”, which focuses on the use of overhead power lines, as in the rail sector. Trucks powered by overhead lines can run with zero emissions, and any batteries can be charged depending exactly on how many emission-free kilometers still lie ahead. A test route for electric Scania trucks already exists in Sweden. Test routes have also been announced in Germany.